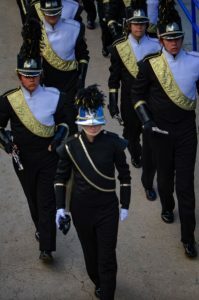 Winter Program Performances and Dessert Bar! Come support Winter Guard and Winter Percussion, see 2 great performances and enjoy a wonderful variety of desserts! Tickets are $10. This is a great opportunity to wish both programs luck as they head to State and World Competitions! 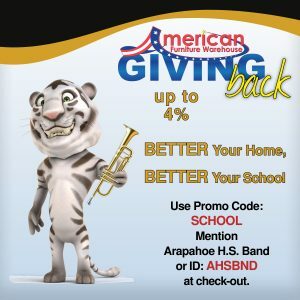 All proceeds go to Arapahoe Band Boosters and directly support winter program student instruction.